We are excited to share Hypebeast has posted about the third annual POW! WOW! Hawaii x Thinkspace Gallery exhibition at the Honolulu Museum Art School. 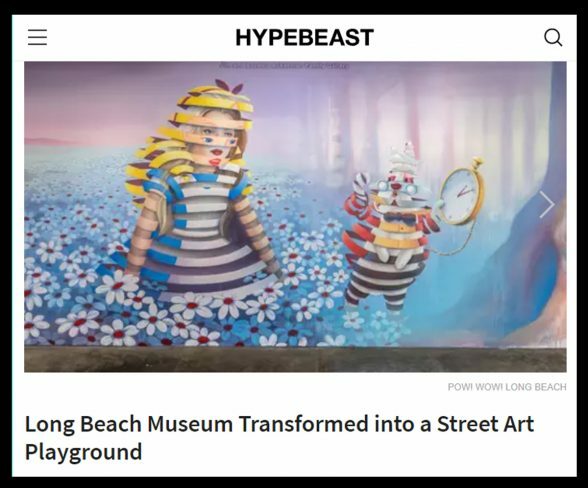 Visit Hypebeast’s website to view a peak into the show and if you’re in Honolulu make sure to stop by the museum before February 15th. “With roots firmly planted in illustration, pop culture, comics, street art and graffiti, put quite simply the New Contemporary Art Movement is art for the people” said Hosner.